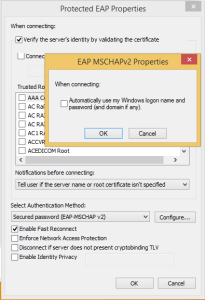 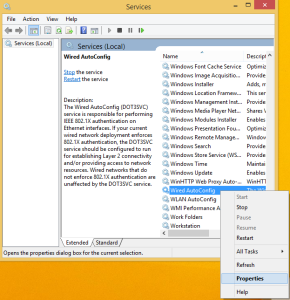 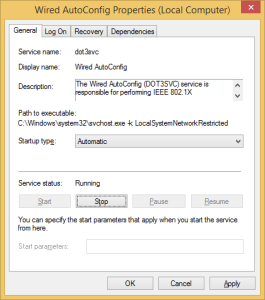 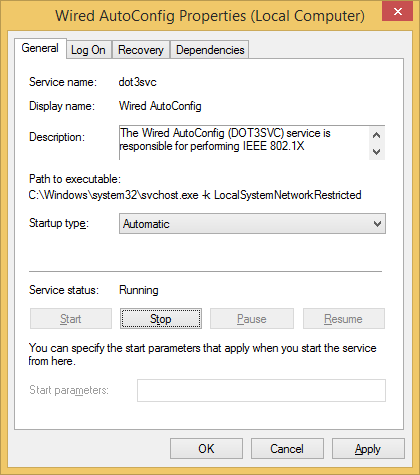 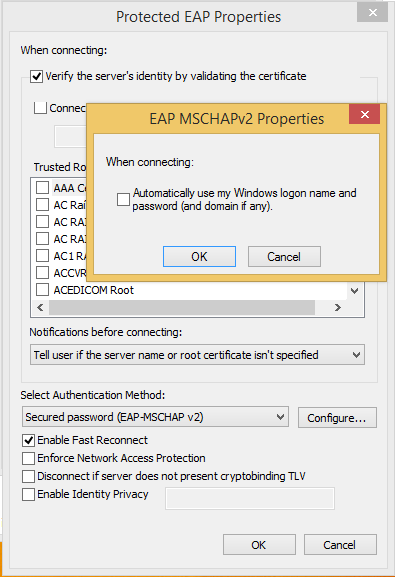 Locate the service named Wired AutoConfig, right click and select Properties. 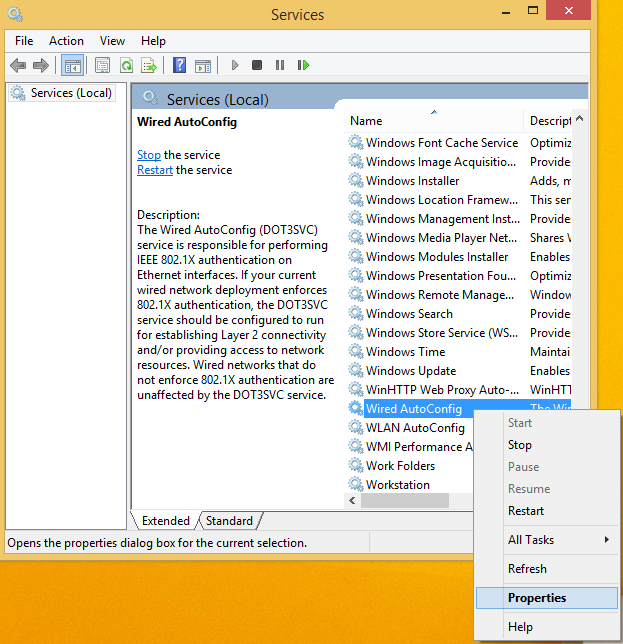 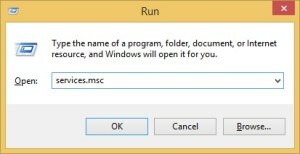 Start the service , and change startup type to Automatic, then click Apply and Ok. 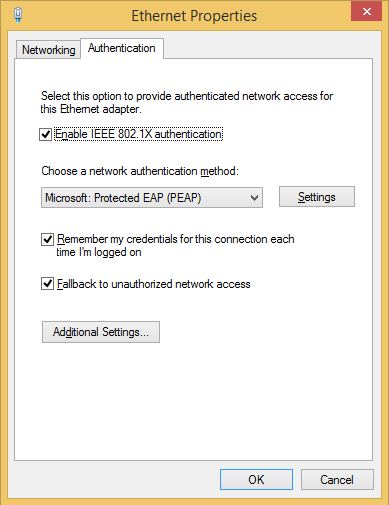 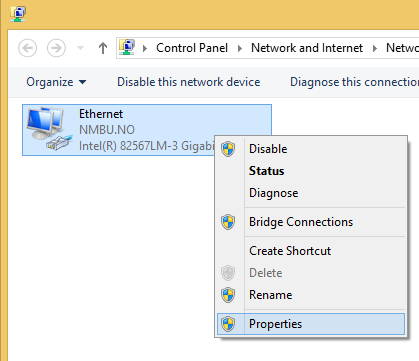 Right click your wired network connection and select Properties. 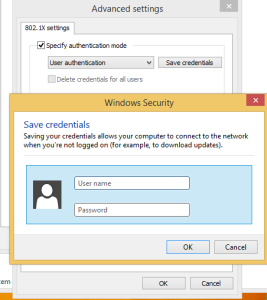 Make sure the settings are like thos above and then click Settings. 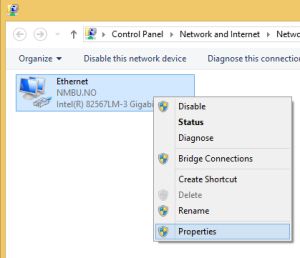 It should look like this and select Configure , now make sure its unchecked. 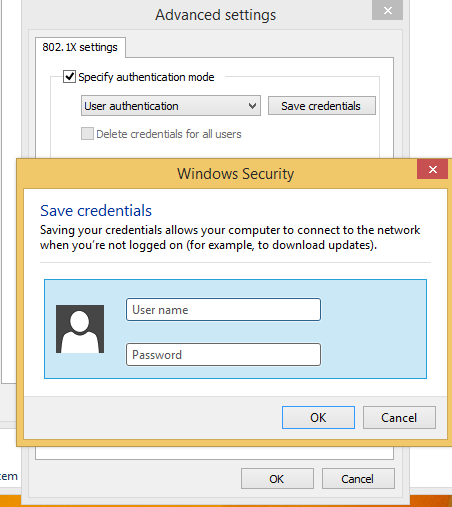 Then go back to this window and click Additional Settings.